Spiral Bound, 56 pages, 8.5 x 11. 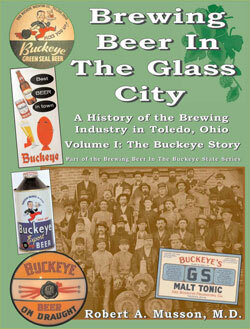 Part of the Brewing Beer In The Buckeye State series, Brewing Beer In The Glass City, Volume 1 gives a pictorial history of the Buckeye Brewing Company of Toledo, Ohio. 56 pages in length, the book contains 300+ images, most of which are in color, showing people, buildings, floor plans, advertising, labels, cans, and you name it! 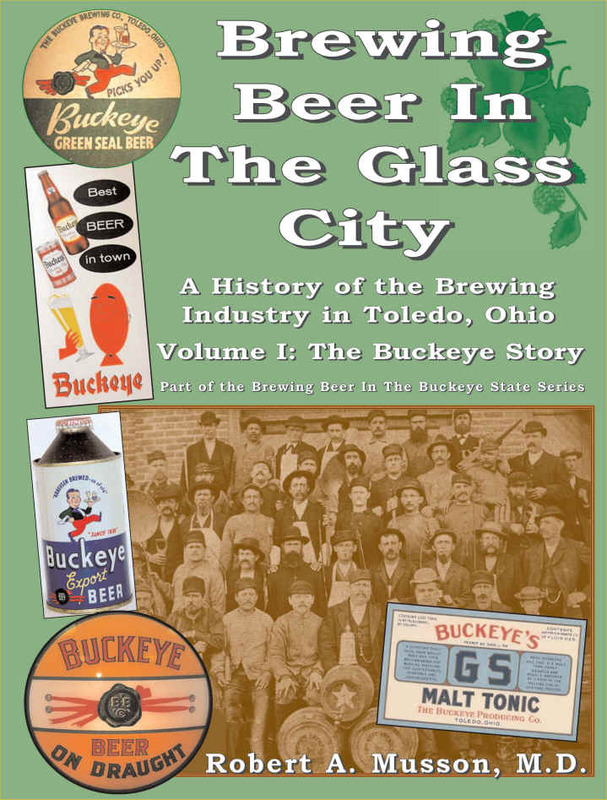 Explore the history of more than 130 years of brewing by the Buckeye Company, one of the most popular brands in the country with collectors. The history also includes the company's takeover by Meister-Brau of Chicago in 1966, and that company's subsequent rise and fall. Part of Meister Brau's history includes the origin of what is one of America's most popular beers today: Miller Lite Beer.�Volume 2 is now available as well, covering the rest of Toledo's brewing history!